PTS Data Center Solutions recently performed an assessment of the World Wildlife Fund’s (WWF) data center at its headquarters in Washington, D.C. That’s a pretty big deal considering WWF is the world’s leading conservation organization with total operating revenue of over $230 million. WWF networks through 100 countries with over 5 million members, so its data center is a very important part of overall conservation operations. PTS was able to detect a critical problem with WWF’s data center environment. The data center was experiencing an increase in heat and the Computer Room Air Conditioning units weren’t getting the job done. WWF was in dire need of new power and cooling solutions. IT infrastructure availability and energy efficiency were also vital concerns as they are with all of PTS’ clients. 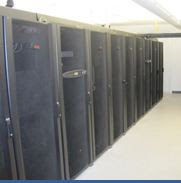 At first, PTS was considering renovating WWF’s aging infrastructure, but when the tenant on WWF’s first floor moved out, PTS determined an entirely new data center in that space would best suit WWF. PTS was tasked with design, construction management, procuring equipment, overseeing installation, commissioning, and post construction services. WWF received a dynamic cooling solution which gives the data center the energy efficiency that was desired. PTS also installed a 100 KVA UPS which gave WWF critical power protection. To read more about PTS’ success with WWF click here or contact us for a copy of the case study and the Press Release.